List Price $199,900 Offers Anytime! This gorgeous 2 Bed, 2 Bath, 1014 sqft condo is your opportunity to live in an amazing space, for an affordable price! Step in and notice the open living room, kitchen and dining room with a massive island, 10ft ceilings and large windows. This is the perfect entertaining space! A walk-in pantry and stainless steel appliances complete this great space. Down the hall is a 4 piece bath, in-suite laundry, and 2 great sized bedrooms. The master bedroom comes complete with a walk-in closet, a 4 piece en-suite bath and a private patio space! 1 parking spot, storage locker, pet friendly (under 30 lbs) and plenty of visitor parking make this complex a fantastic spot to be! 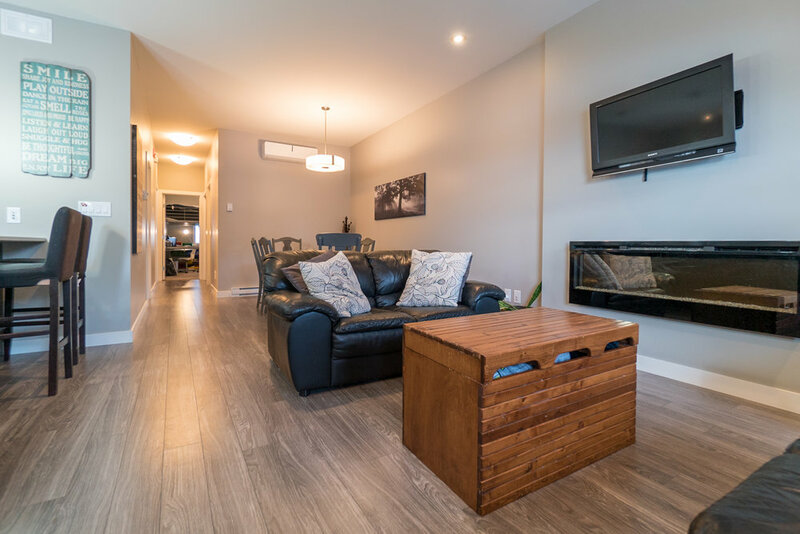 The town of Ile De Chenes has plenty of amenities, plus you are only 8 minutes to the city limits! Check out the Video & VR Tour to see more for yourself! We assume no responsibility for the accuracy of the real estate data on this website. The materials contained on this page may not be reproduced without the express written consent of the owner of the real estate listing data. While the information presented is deemed to be correct, is not guaranteed. Listing data updated on December 5th, 2018.